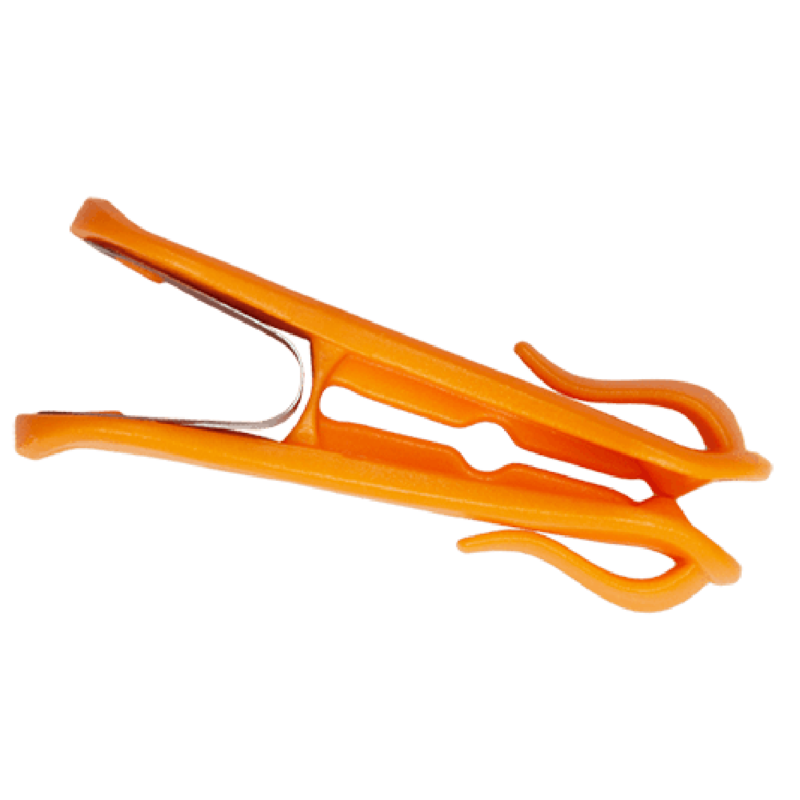 Say goodbye to PEG, LINE and SUN marks!!! 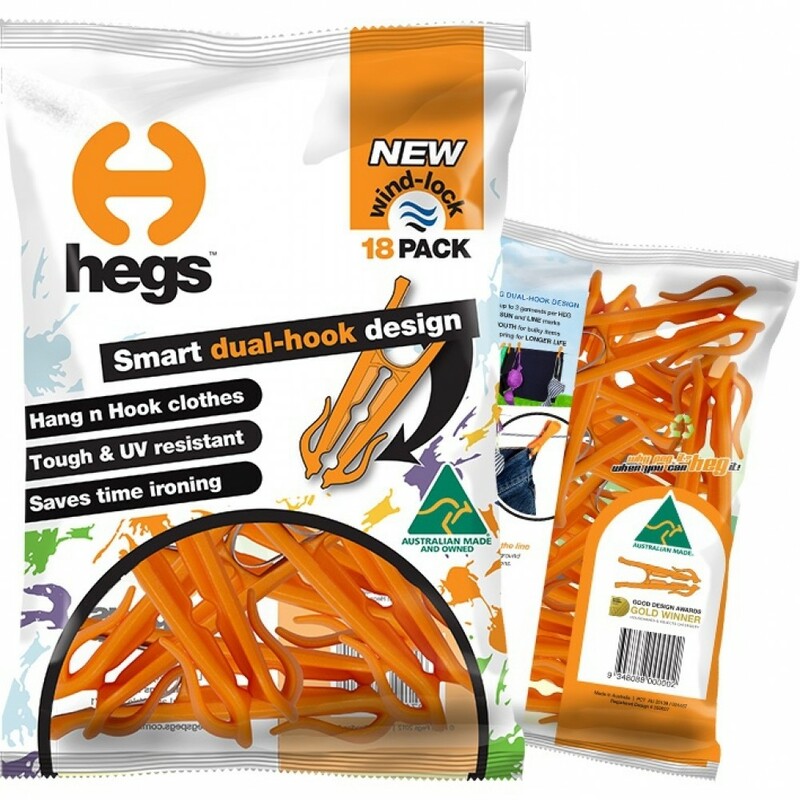 The award winning HEG: Designed with dual-hooks to maximise hanging space, an ergonomic grip for ease of use and a grip lock system that holds washing taut on the clothesline, the HEG keeps your washing secure and reduces the need for ironing. 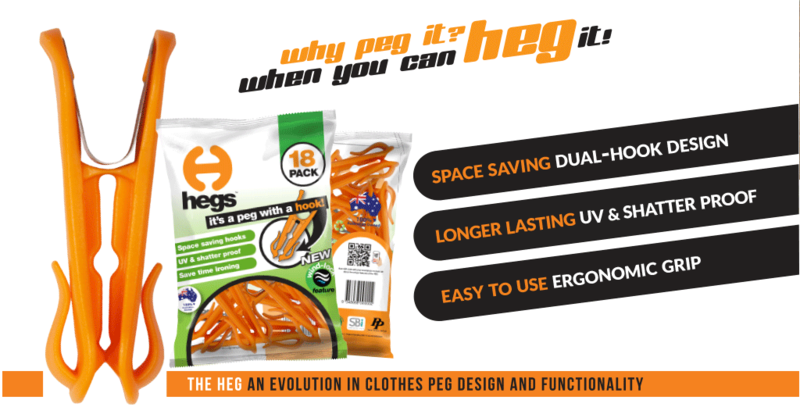 injection moulded, 100% recyclable polypropylene construction and stainless steel spring ensures both strength and flexibility, and a durability that will see the HEG through years and years of daily use. 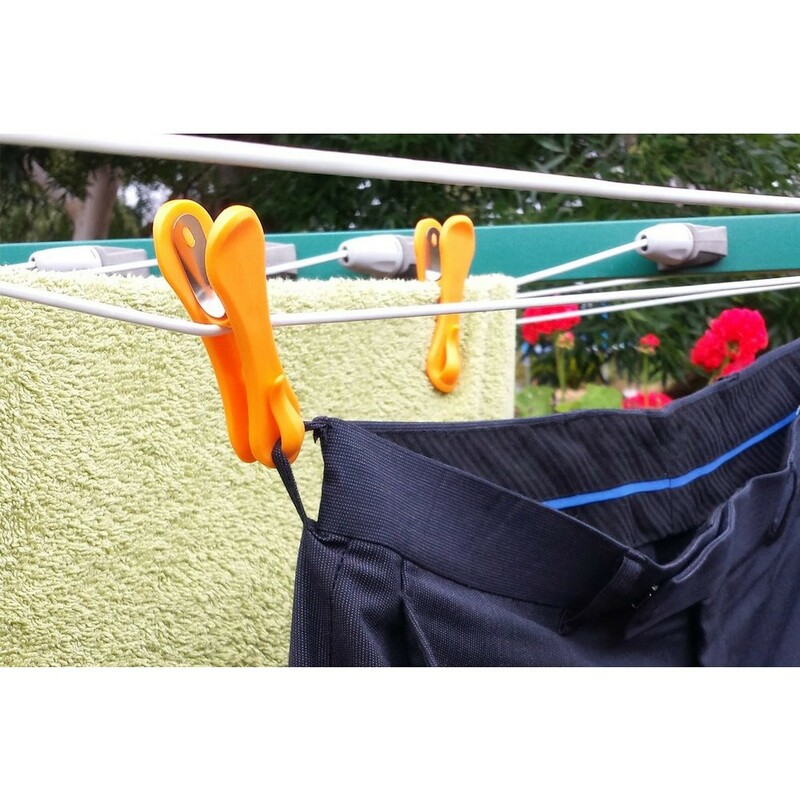 Keep your washing on the line wind, rain, hail or shine. 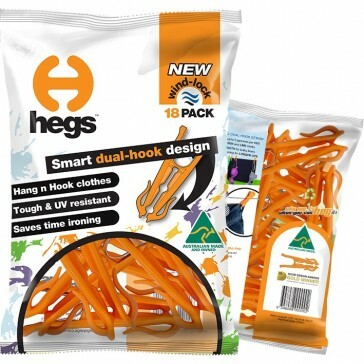 HEGS won’t crumble in your hands, split in half or fly off the clothesline in stormy weather. 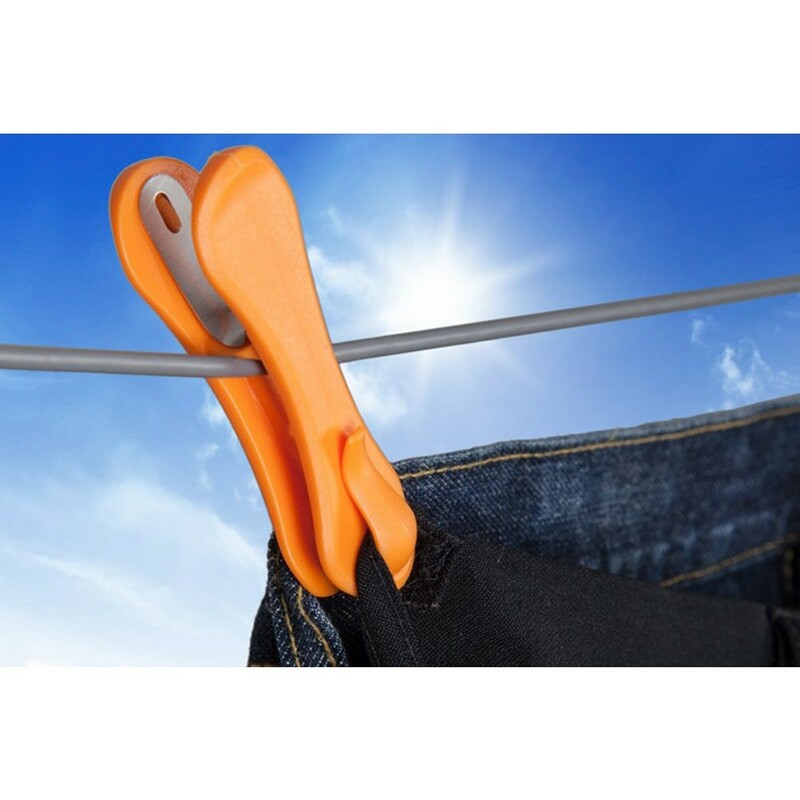 Quite frankly, the HEG leaves the traditional clothes peg for dead!